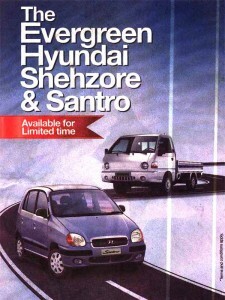 As we reported a few months ago, the Hyundai Santro is back on sale for a limited amount of time. 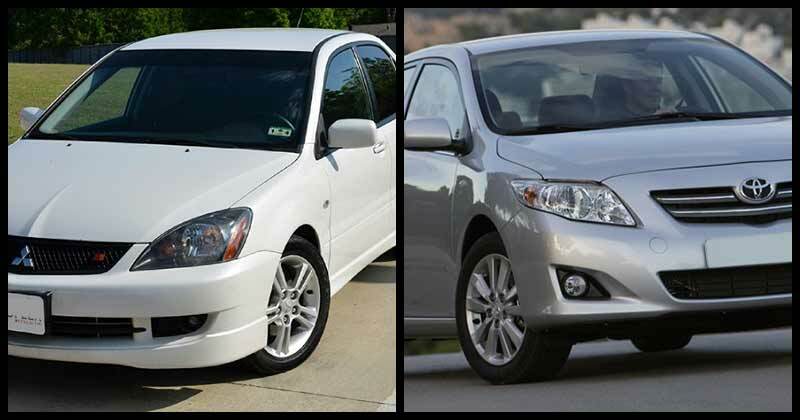 Dewan Motors had a few hundred knocked-down kits (CKDs) lying around and they’ve assembled a limited number of fresh vehicles that are now up for sale. 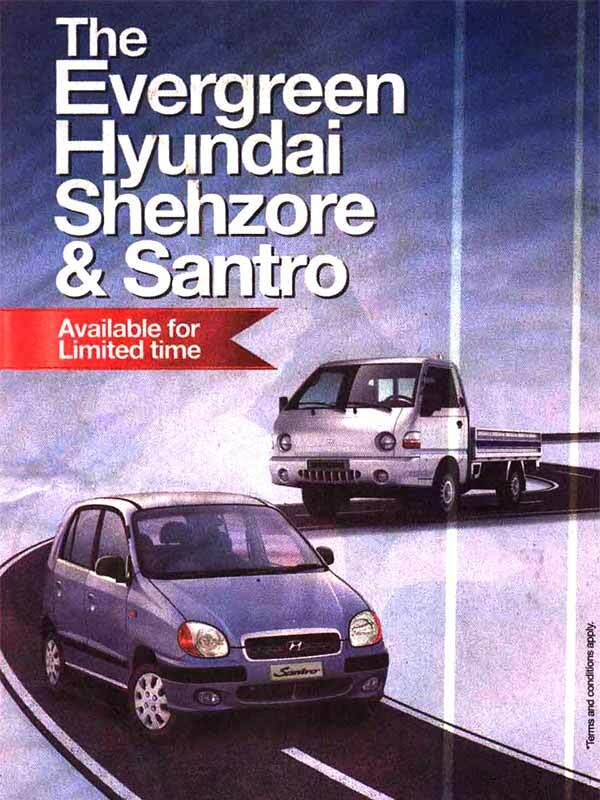 If you’ve been missing the Santro, now’s your chance to get your hands on one! With the industry offering a very limited number of choices to the Pakistani public, anything that remotely hints toward the prospect of seeing different cars on the road is good news. 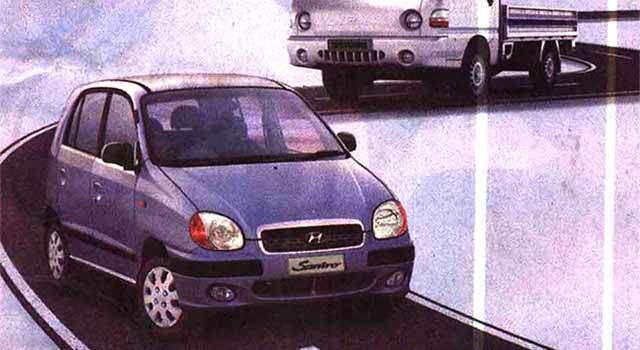 If these newly assembled Santros and Shehzores are well received by the public, who knows Dewan Motors might bring something new to the Pakistani market. Looking at the company’s history in Pakistan, they’ve never disappointed in terms of value for money. It’s just a matter of perception now. Here’s to hoping that the Pakistani buyer breaks free from the monopoly of the Big 3 and that we see dozens of new models on Pakistani roads one day. The following image is an ad from today’s newspapers. never heard anything like this???????? ?